15% dISCOUNT ON ALL NEW RESERVATIONS FOR 2019. 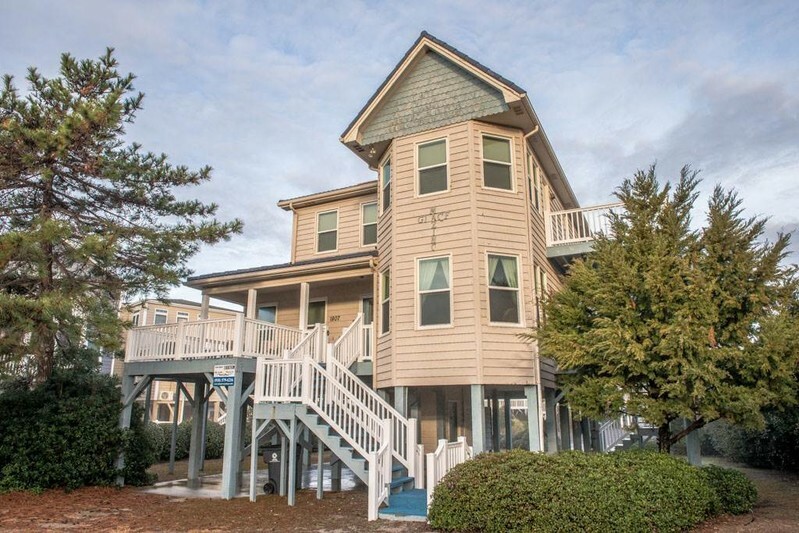 Amazing Grace is a second row home located on East Main Street on Sunset Beach - across the street from beach access! This two-story house has 4 bedrooms, 3 baths and sleeps 10. Two bedrooms have queen beds, and two have two singles in each. There is also a sleeper sofa and crib. Other features include three cable TVs and 2 DVDs, free long-distance phone calls and wireless Internet. Appliances include a washer/dryer and the customary kitchen equipment and a high chair. Ceiling fans are found throughout the home. There are 3 sundecks, plus a permanent charcoal grill. DVD movies, books, and board games are provided for your quiet time. Q: Does this amount include cleaning? Yes, cleaning is included in the rental amount.